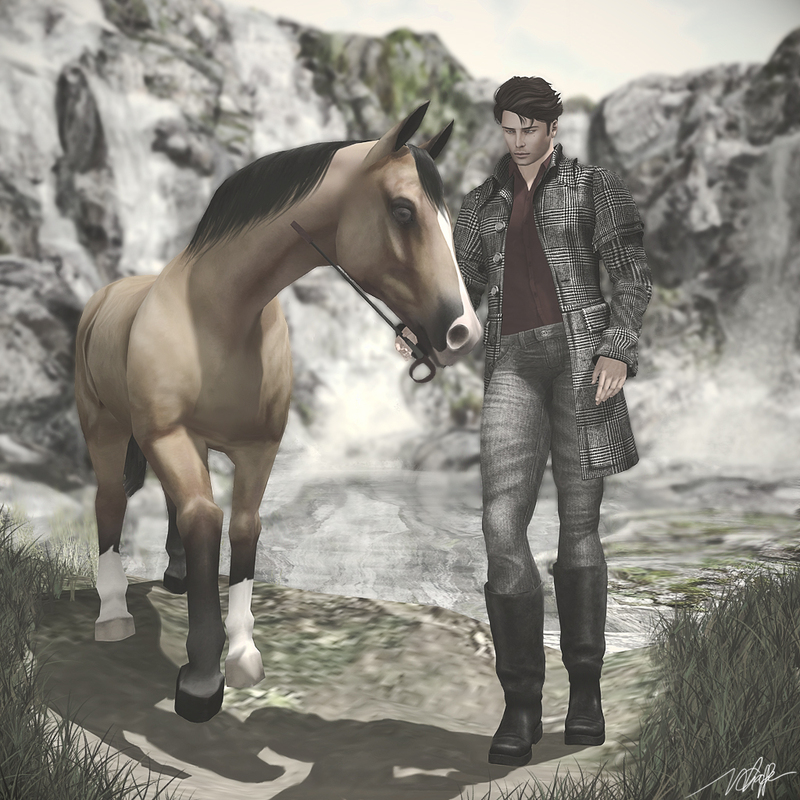 Another great work from Exile for FaMESHed! 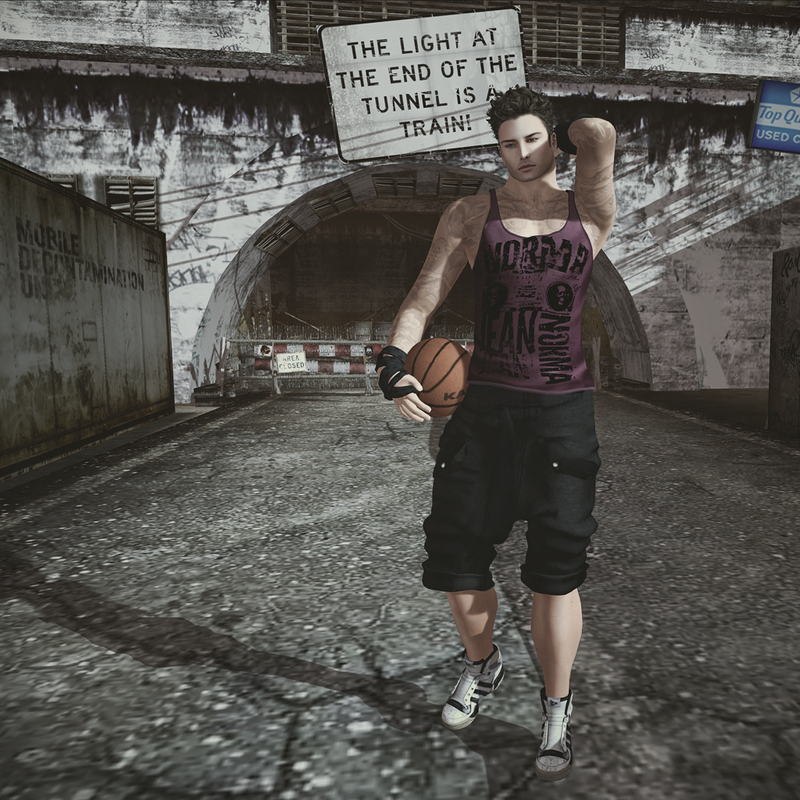 After some struggle with my SL tonight, I could finally take a picture to show you the news from HISposé. A new picture prop called HIShorse that is basically what you think it is, but way better. The prop horse comes with 6 single poses – 3 sitting and 3 standing – and you can play with the colors and textures of the horse! HIShorse is gonna be released this sunday, make sure you get yours! New hair from Exile! I’ve got this hair today and I had to post it right away. I really like it. Exile came up with two more new mesh hair, and I’ll post them later. About the pose, this one is from HISpose and it came with the cell phone…really cool. You can easily get inspired to take a picture using the props that come with some poses, thumbs up! I’m really happy I’ve got this tee from punkd, it fits really well and I just can’t take it off. There’s a lot of prints to choose from and it’s one of the best models I’ve seen so far. Another cool thing I’ve got is the Dura group gift hair for their 2nd year anniversary, it’s curly and it has this natural look. You just need to join the group and be happy!